As Spring soon rolls into the Midwest, the ugly reality of melting snow across hundreds of thousands of manure fertilized fields again manifests. And the picture is not pretty. 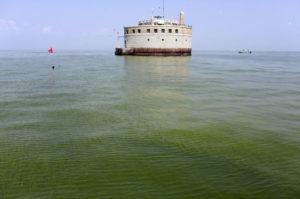 In recent years Lake Erie has experienced Harmful Algae Blooms (HABs) larger than the size of New York City. 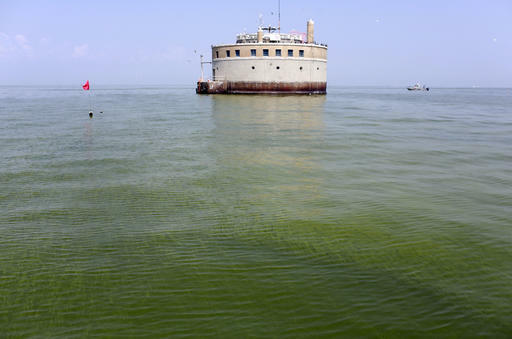 Most of this pollution — which comes in the form of phosphorus — empties into the Western Ohio part of the Lake via the Maumee River basin. 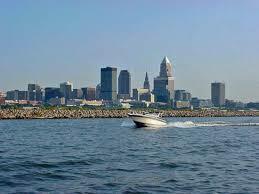 Since the Cuyahoga River Basin contains over 15%, or nearly 2,000,000 people, of the State of Ohio’s population, it is popular to contend that these cities are responsible for the pollution. But this argument falls flat, according to a report from LakeErieAlgae.com. The differences in how heavy spring rainfalls affect phosphorus loads in two watersheds – the Maumee and the Cuyahoga – show the different impacts of non-point sources (like the primarily agricultural lands in the Maumee River basin) and point sources (like the urban and industrial lands in the Cuyahoga River basin, which houses nearly 15% of Ohio’s population). Both watersheds occasionally have combined sewer overflows (CSOs), but research suggests these volumes pale in comparison to the river volume during storms. 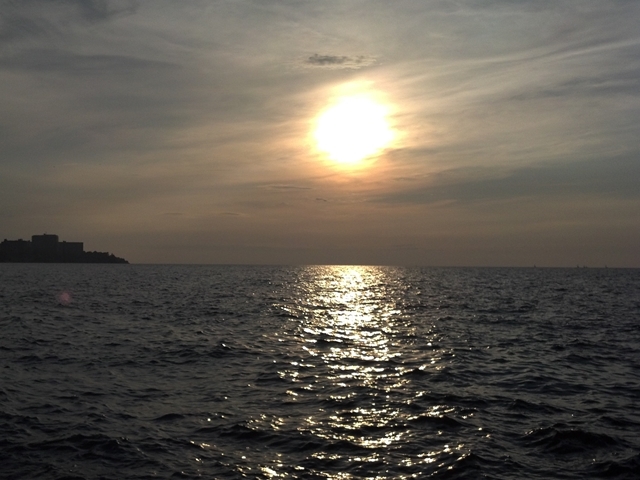 In short, the Maume River, flowing through the mostly agricultural Maumee River Basin, is responsible for the vast majority of the phosphorus pouring into Lake Erie. And this phosphorus is the key trigger to HABs. Watch closely as Spring 2017 approaches. HABs will result no matter what but, should heavy rains accompany the annual melting of snow, record HABs will again be reported across not just Lake Erie, but throughout the USA and beyond. We need increased actions to address nonpoint source pollution, in particular agricultural runoff. This includes increased targeting of Farm Bill and other programs to priority areas, and continuing research to identify key nutrient source areas. Summer HABs will be explained in no small part by Spring meltdown and precipitation levels. The inauguration of United States’ 45th President Donald J. Trump represents America’s ceremonial yet very real transfer of presidential power. In his address, President Trump promises among things to “never let (Americans) down.” His vow to bring back jobs, and rebuild infrastructure by improving roads, schools, bridges, airports, etc., is a bold one. Although it is likely few Americans expect a shiny new country four years from now, the success of President Trump’s administration will be measured by bricks and mortar — upgraded and replaced from the labor of American hands. Should he fall flat on this great promise, clearly he will have let down US citizens. It is not necessarily alarming that nowhere in President Trump’s speech was there the mention of clean water. Surface and ground water problems are often local, and governing clean water issues is generally left to area, regional, and state government. But this year, when Toledo, OH (again) cannot tap drinking water; when Waukesha County, WI, (again) cries out for freshwater from Lake Michigan; when a proliferation of lakes and rivers all across the USA (again) fill with Harmful Algae Blooms (HABs) — threatening the health and well-being of tens of millions of Americans — the United States’ freshwater crisis will (again) emerge. The crisis already exists in pockets throughout the USA and, in President Trump’s tenure, it will likely become a highly visible federal government priority. As this priority applies to surface water — which is impacted differently than groundwater — collaborating with agriculture will be paramount. Because, above all other industries (and by a wide margin), according to information from GRACE Communications Foundation, agriculture is the number one contributor to surface water pollution. Best practices for decreasing surface water pollution from agriculture exist — and have been documented in Clean Water Warrior many times. Rewarding farmers, long-term and permanently, for implementing best practices is key to in any meaningful way cleaning up surface water. Farmers must be willing to accept the reality that economic and land-management changes to their operations are necessary, and must now be implemented. Government, working with nimble non-profits like Clean Water Warrior, must be swift in providing resources to assist and reward farmers making these best-practice changes. It will be an interesting four years. President Trump – the stage is yours.